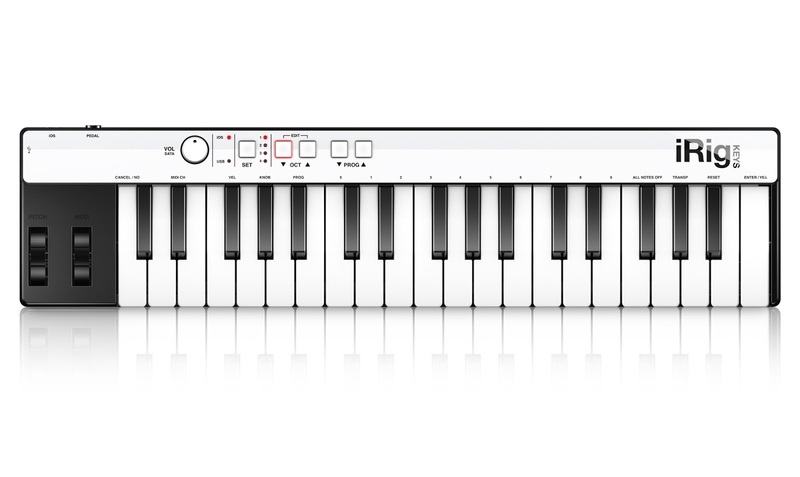 This is an amazing midi controller for not only your PC or Mac, but also for your iPod Touch, iPhone, and iPad. It hooks right up to your Apple device. It is sleek and does not take up much room. There are 37 keys for you to play with. It also has modulation and pitch bend wheels, and octave buttons. It is ready to go right out of the box. It comes with a free downloadable app for people who want to use there iOS device called SampleTank. This app comes with a wonderful assortment of sampled instruments. For those who want to use it on a Mac or PC, it comes with the downloadable version of Sampletank 2L, which is a sample workstation for the computer. The keyboard is powered by USB or by an iPod, iPhone, or iPad. It is built well and the keys are velocity sensitive and feel decent when playing. You will not be disappointed if you are looking for a solid midi controller. You can buy it at Guitar Center for $99. Click the link below for exclusive deals.